Royal Pine Pollen Tincture is also available in a 2 ounce bottle. 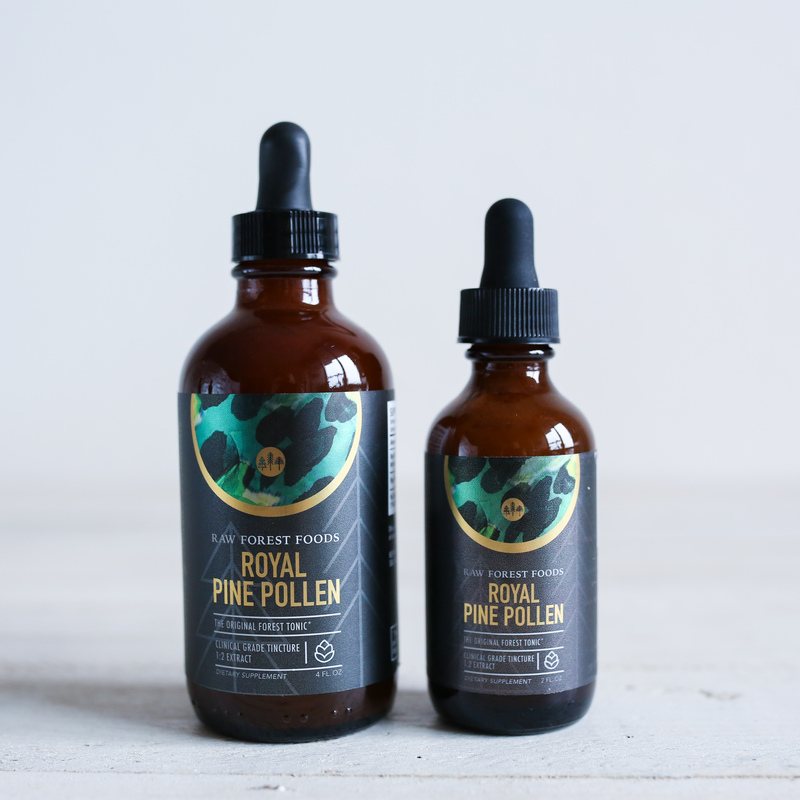 Our clinical grade Royal Pine Pollen Tincture is also available in a 2 ounce bottle. 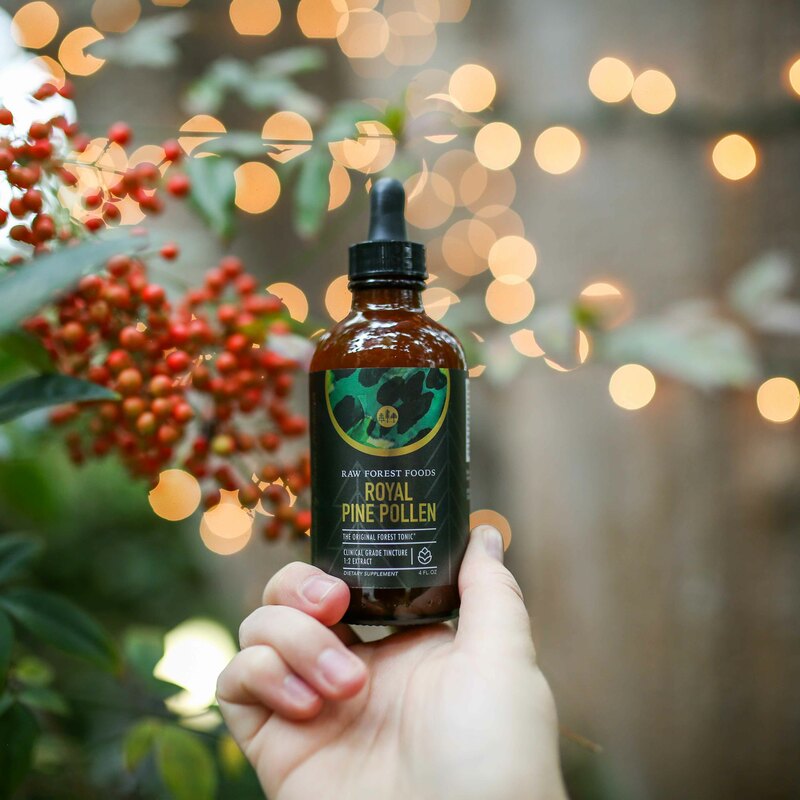 In each 4 ounce bottle, there are approximately 59 servings of Royal Pine Pollen Tincture. Exit analysis: Royal Pine Pollen Tincture (2 Ounce). Great product, I am very happy with the results that I have been able to achieve. I recently bought two four ounce bottles of Royal Pine Pollen. I’ve been using the original Pine Pollen 2:1 tincture with good results for some time. The Royal Pine Pollen is a big disappointment. Your extraction process now includes heat and the addition of much more water, both undesireable and unnecessary since the original alcohol extraction tincture was excellent. The original tincture contained 2.4 grams raw pollen per 1.2 ml dropperful, as stated on the bottle. This works out to 2 grams per ml. 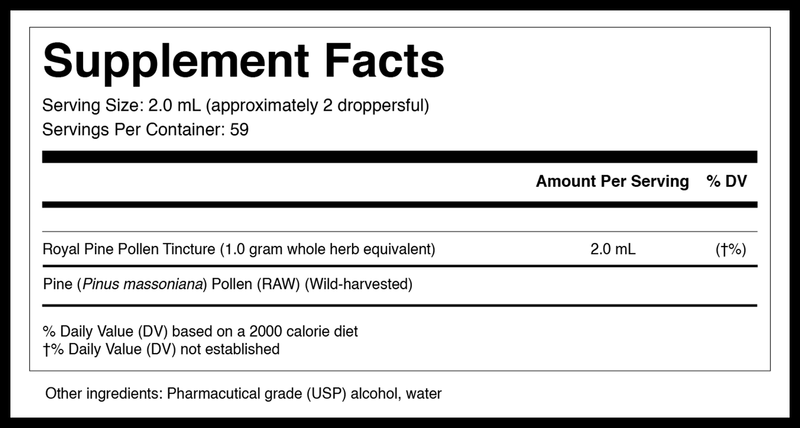 Your new Royal Pine Pollen tincture contains 1 gram whole herb ( Pollen, I assume ), per 2ml. This is .5 grams pollen per ml of tincture, 25% of the potency of the original. It seems watered down when I’m taking it, the effect is reduced, and the cost is the same or more. It’s a deal breaker for me, you lost a customer and a good referral source. I’m a practicing healthcare provider and was happy to spread the word about you original tincture. No more. Seems like you are enjoying some success and growth of your business. I wish you good fortune. That said, you made a mistake with this new tincture and it feels like a signal that your way of doing business has changed for the worse. Looks greed driven to me. A 75% drop in the potency of your flagship Pollen tincture destroyed my once favorable opinion of your company. It was a year ago that I discovered the health benefits of raw pine pollen, and for test boost pine pollen tincture. I previously purchased the tincture from both Lost Empire and Raw Forest Foods. Both companies have changed their products, and lost empire has lost a customer because the Raw Forest Foods Pine Pollen Tincture is at or more potent than anything lost empire used to produce. Lost Empire's current tincture is really weak -mostly alcohol. Please don't change this formula - keep it going guys. But be careful with taking this - its fire - so make sure you're ready to hit the gym or the bedroom when taken and cycle 5 days on 2 days off. Great stuff! I bought this for my husband because he works a really early shift that just got changed to even earlier and he was suffering from extreme tiredness. It was getting really frustrating for the both of us because he was too demotivated and tired to be productive when at home. Even after just a few days of taking this pine pollen his energy has improved dramatically and he has had plenty of energy to be productive before he needs to go to bed. His mood has been better as well. Will definitely come back for more! I'm glad we stocked up with the 4oz. This is definitely stronger than other brands ive tried, which i a appreciate . Grateful to know about pine pollen! I have never tried any other pine pollen tincture I take shots not drops this can not overdose I have tried I drink a whole bottle in 2-3 days has major body transformation effects I have worked 22 days str8 at hard physical job and still feel great can perform working 12-14 hours a day power washing running off little sleep and food pine pollen keeps me going and body been getting into great shape I have really transformed thanks to this stuff. Best and most potent stuff on the market. After 3 days, began experiencing a change in hormones. Felt calmer and a little more energetic. I am expecting more benefits to pop up in the coming weeks.